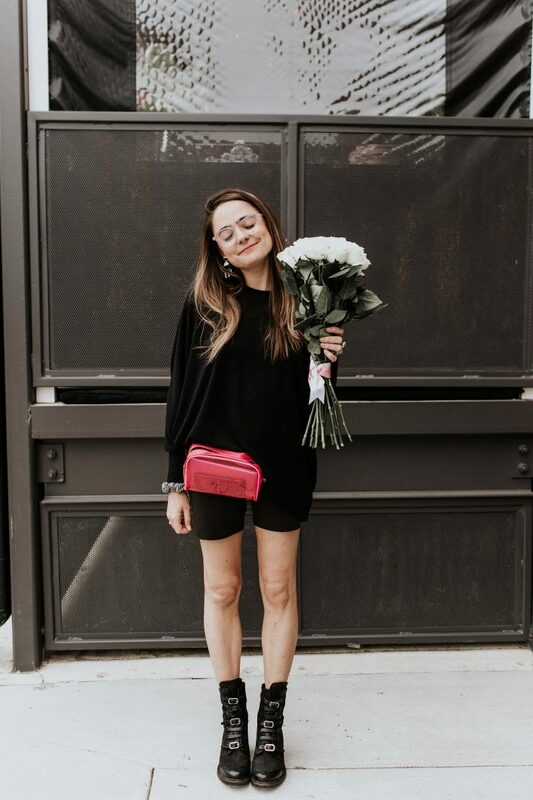 Nothing like saying ‘what’s up spring?’ with a trusty all black outfit. I mean, really, what else did you expect? As much as I keep trying to branch out with new pieces (and I really am trying), I always find myself coming back to black basics. It’s just so easy to mix and match my favorite black pieces to create new looks, no matter the season. Yes, I feel very redundant at this point, but alas, that’s about all I’ve got for you guys on this last Friday in March. Mock Turtleneck, UO. Pants, Zara (similar). Sunnies, Le Specs. Backpack, Rebecca Minkoff. Watch, Daniel Wellington. Platforms, Miu Miu. Earrings, Bent by Courtney. Photos: Kaytee Lauren. Ahh I LOVE this all black look!